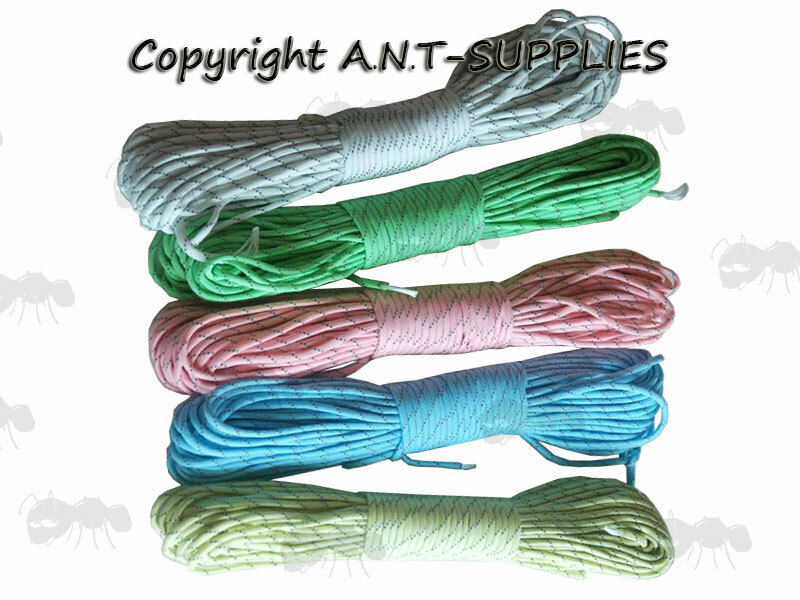 Pink paracord that glows in the dark and has a reflective tracer thread. The manufacturer claims it's load capacity is approx 240kg and the weight is approx 200 grams per 30 metres. 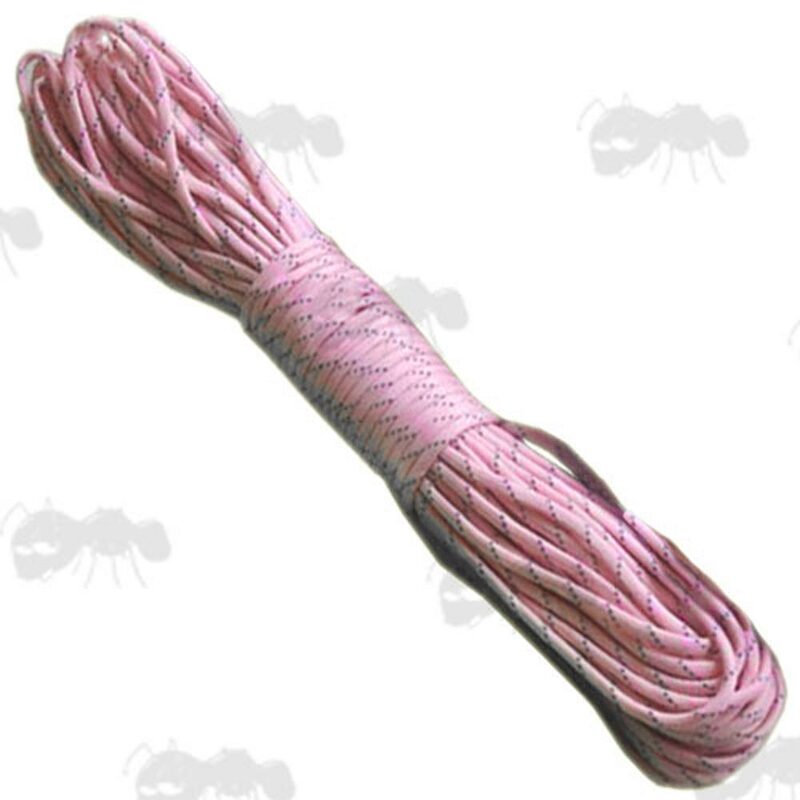 Meaning it's the most similar to USA type III paracord.